While #vinyloftheday was founded in Singapore, maintained by a local team, the app isn't made just for Singaporean crate-diggers. "I believe it will rather benefit every user, not just for Singaporean collectors," says founder of #vinyloftheday, Kurt Loy. What initially started out as the name of an interest site for fellow vinyl geeks became regularly used as a hashtag by vinyl collectors on Instagram. Now, it's also the name of a new smartphone app that will allow collectors all over the world to sell, trade and buy records — and, of course, show them off. Think Carousell-meets-Instagram-meets-Discogs, and you're halfway there. The project's name derives from the oft-used phrase "outfit of the day" aka OOTDs, but with vinyl records in the spotlight instead of fashion. "We started it off as a fun project to showcase the vinyl we listen to on daily basis," says Loy. Latest posts on Instagram using the hashtag. 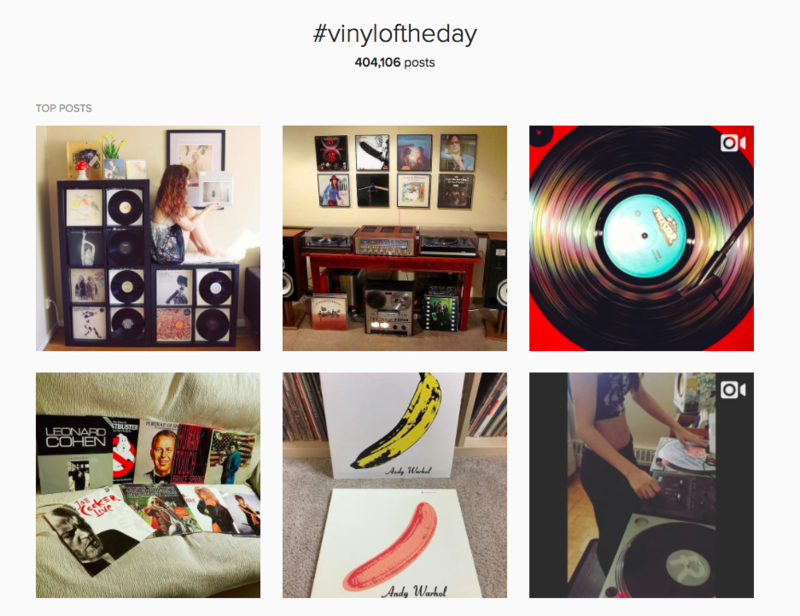 The project's official Instagram account, @thevinylday, currently has over 111,000 followers. Officially established in 2013, the hashtag found traction in social media circles, and the idea for a vinyl marketplace became what Loy deemed as "the next logical step in moving forward and progressing as a brand." This involved analyzing the current landscape of online crate-digging, with websites like Discogs, eBay and Amazon being the main destination for collectors to source out new and used records online. Loy wanted to develop an app that was both user-friendly and comprehensive for all sorts of vinyl geeks. "We also felt that the experience for vinyl collectors at record stores, on social networks, Discogs or other various discussion forums were less than ideal, and had lots of room for improvement," he says. Being in tuned with local record stores and collectors around the world gave him the insight to fill in the blanks — figuring out ways to enhance and embrace the current vinyl collecting culture that has grown exponentially since the website was established. "We want to make transactions and interactions with the community members in a more fun, visually and interesting way," he says. "We want to bring the offline record shopping experience onto our platform, and strengthen the community spirit." ...we aim to be an ecosystem for the vinyl collecting culture. We aspire to be a one-stop destination for the music fan." Newer pressing plants and updated technology have been employed in Europe and the US to help soften the turbulent demand of music on wax, and vinyl looks set to be a viable, if not specialized, medium for fans to collect physical copies of albums — the act of curating a collection, filling the void left by digital streaming. But while there are arguments that its current form as a popular trend will soon fade with the premium prices of most titles, #vinyloftheday remains unfazed, founded by passionate collectors whose interest in vinyl started long before Record Store Day became an actual thing. The project has also allowed them to learn from fellow collectors around the world. "Gaining valuable knowledge and ideas from our community members," as Kurt puts it. According to him, they've even found followers in famed producers Kidkanevil, Onra and even writer, speaker, and former Black Flag singer Henry Rollins, all of whom are avid vinyl collectors. The latter has written at great length about his collection and hobby. Even with establishing the marketplace, Kurt insists that vinyl records aren't entirely the main focus of the newly-revamped #vinyloftheday. "Moving beyond the transaction of vinyl records, we aim to be an ecosystem for the vinyl collecting culture," he says. "We aspire to be a one-stop destination for the music fan." Naming "audiophile gear such as turntables and headphones" along with "band tees, gig posters, and other paraphernalia" as items that could be allowed into the marketplace, #vinyloftheday, as an app, could very well be emblematic of the format's rise — from niche interest to an everlasting fixture in music culture. #vinyloftheday is now available for iPhones, with an Android version currently in development. If you're looking for record stores to find in Singapore, check out our vinyl record guide.